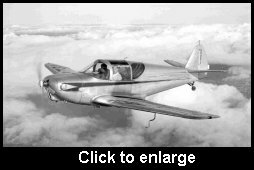 Tarrant County TXGenWeb - John Kennedy and the Globe Aircraft Co.
John Kennedy and the Globe Aircraft Co.
Did you know that John Kennedy was Mayor of Saginaw? No, it's not the John Kennedy we know of presidential fame, but a man who was born in Kelso, Scotland in 1891. He arrived in this country almost penniless, but was willing to work and learn as he worked his way around the country, finally choosing a farm in Saginaw. Being an entrepreneur, he went from rags to riches, later to became the first Mayor of Saginaw. Before coming to this country, he had graduated from his school with a scholarship as the result of a high scholastic record. He came immediately to America at the age of 14, where he went to Chicago, Illinois to work for Clay Industries, a company which was owned by a close friend of his fathers. The company dealt with the financial backlog of ranchers in the western states. One of Kennedy's first jobs was to get familiar with the livestock. He started by punching cattle in the stockyards and continued learning everything there was to know about cattle and it's value, and within two years he was regarded as very adept at this job. From Chicago he was transferred to Denver, Colorado for he worked as a land and cattle appraiser for about 5 years. This new part of the country did not start off well for him. His lack of experience and his youthful appearance made it difficult to win over his clients. His first customer looked him over and said to get back on the first train to Chicago. But Kennedy wouldn't have it. He performed the task exceedingly and the rancher was taken back. With a change of heart, he invited the young Kennedy to stay and continue on. The next years were colorful and adventurous! It took him into the Wild West, covering areas of rough and untamed Colorado, Utah and Wyoming. He witnessed a stage coach robbery, and he was later instrumental in saving an innocent man from paying for a crime he didn't commit. In 1914, he was transferred to El Paso, another untamed wilderness. He handled a large number of cattle for some wealthy financiers, but the area was turbulent because of Mexican-United States relations. Poncho Villa made the rounds in that part of the country. His fair and straight dealings made an impression among the Mexicans, and as a result he was the only "gringo" allowed across the border to buy and sell cattle - even during heated disputes. Although he had no direct dealings with Villa, he did come to know him as a vicious, cruel man. But his clients wanted to get the cattle out of the area as soon as possible, as through his skill and experience most of the cattle were safely moved. Kennedy bought an old wagon factory on the north side, and Globe Laboratories was born. Globe laboratories produced serum to immunize cattle against black leg, a deadly disease that affected calves under two years of age. About ten years later, his interest waned and he later sold the company to his partner and moved on to a field of registered cattle and horses. He later purchased 400 acres of land in an area with E. McLeroy Blvd on the north and Blue Mound Road (Hwy 156) to the east. The first two horses he owned were gifts but some of his first purchases were champion horses from the old country. He started raising hackneys, small ponies that were 13 to 16 hands high, and toured the country nationally to showcase his prize animals. Later he showed Morgan horses. A stable of 45 stalls was built to accommodate the prize ponies and horses. It wasn't very long before the walls of his home were covered with ribbons and trophies that his animals had won. Included with his collection were decorative carts, made with beautiful leather and brass. Kennedy was always intrigued with aircraft, and a business opportunity in helping in the war effort arose and so he created the Globe Aircraft Company. This successful company became a very active sub contractor during the war years, with production of Beech's AT10's under contract for Beech and various other aircraft projects for the war effort. He became acquainted with some of the flyers at the Fort Worth Municipal Airport. 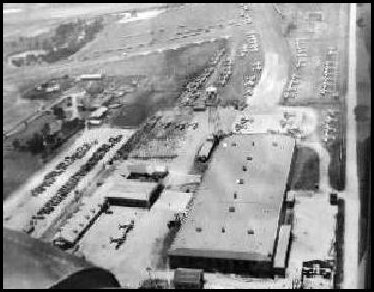 (The airport was first built in 1925, but the airports' name was officially changed to Meacham Field, in honor of former Fort Worth Mayor H.C. Meacham). One of these aviators, R.S. "Pop" Johnson came up with the idea of a low-wing retractable gear airplane, based on the measurements he had taken from a Culver Cadet. He built a prototype with an 80-hp Continental engine and a Beech Roby propeller. It was capable of 145 mph, covering 600 miles. Mr. Johnson built a prototype and introduced his plane to Mr. Kennedy. Mr. Kennedy liked the plane because it had features that were ahead of it's time, and thought that it would be a profitable venture for postwar business. They struck up a deal; Mr. Kennedy would build the plane and Mr. Johnson would be in his employ. 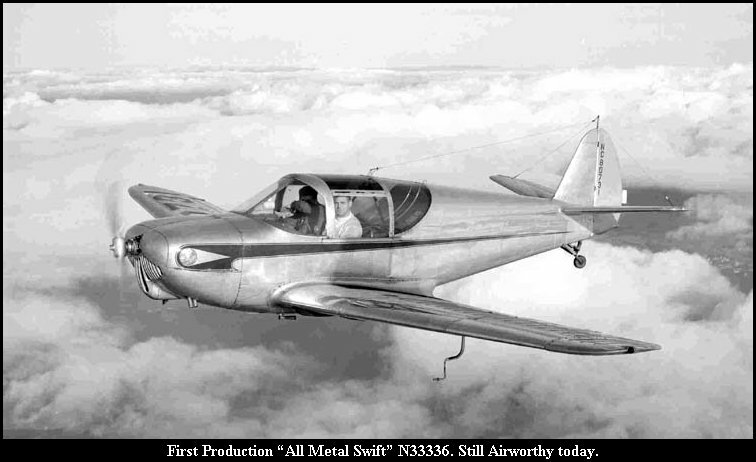 The plane was called the Globe Swift, and many are still flying today! As his operation of 2300 employees got larger, more and more people began to settle down near the plant. This settlement was called Saginaw Park, later to be called Blue Mound. Some familiar street names to find there are: Kennedy Street, Bell Street and Globe Street. Kennedy built himself a stone mansion near the aircraft plant that was a major gathering place for notables like Amon Carter, band leader Paul Whiteman and cowboy sing star Gene Autry. Unfortunately, all good things must come to an end. In 1947, rival competition took advantage of a two-week absence when he went to Washington, DC to apply for postwar federal funds. An Eastern bank group eager to make fast money, produced a stock scare and bought up interest in the company, in what would be called today as a corporate takeover. By the time he arrived home, a scared federal government had cancelled his contracts and withdrew their money. The company folded within 3 months. "The experience crushed him," remembers Tom, son of John Kennedy, "but dad showed the strength of Sampson. He washed his hands of the whole thing, took a $2 to $3 million dollar loss, and stepped out". So John Kennedy stopped building airplanes and set his sites to build a city. He became the first Mayor in 1949 when the City decided to incorporate. He ran under a "no taxes" pledge. He and the other city fathers - Jim McLeroy, Carl McDaniel, Ansel Thompson and Andy "Cotton" Anderson among others - worked to set up a basic working operation for the city, many times chipping in with their own money to run the city. His son, Tom recalls says that his dad was a strict disciplinarian who expected loyalty and hard work from others working with him in city government in those early years. "Dad helped incorporate the city because nobody else would do it or could do it", says Tom, who now resides in Mineral Wells. The city flourished and a city hall was built at 117 North Saginaw Blvd. A water well was drilled. Tom recalls, "He got the community water and started running the first water line. I know. He had me digging the ditches". A fire department was built in response to a series of building fires, and because of the Fort Worth policy of not sending equipment outside of it's city limits. Kennedy remained as mayor until 1954. It's been said that America is the land of opportunity, where anyone can make it big. John Kennedy did just that. He inspired us, turning dreams into reality with hard work and a lot of "elbow grease". I think all of us could learn a lesson from that. Newspapers: The Sentinel July 8th, 1971: "John Kennedy: Man of Many Careers"
The Northwest Sentinel, January 2nd, 1985: "Building Burus Mills Built the Town"
This page was last modified 7 Jun 2003.